Properly caring for your vehicle is the easiest way to ensure longevity. An essential part of taking care of your new Honda car is routine maintenance, and following the service schedule outlined in your owners manual. You can rely on our Honda service center near Middletown for all of your maintenance and repair needs. 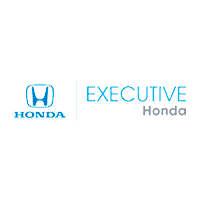 Executive Honda maintains an onsite Honda service and repair department, staffed with mechanics that are highly trained to know every Honda model. They’re also equipped with the same Genuine Honda parts that are used to assemble your car, meaning you can count on like-new performance when you drive home to Meriden. If you would like to discuss the proper maintenance schedule for your vehicle, give us a call or contact us online. If you’d like to schedule an appointment for your next oil change, brake service, or Connecticut inspection at our local Honda service center, simply fill out our appointment form. We’ll have you up and running on the New Haven roads in no time!